During my extended Easter break I took plenty of time to soak up my surroundings and take note of the colour palette around me. From the darkening Daffodil petals as they withered and aged, to the golden wrapping of those oh-so yummy Easter eggs, there were plenty of rich and deep yellows to be had, which in turn got me very inspired about Ochre Yellow. This earthy colour may have been used in interiors for centuries but it can still bring a very current look to your home. 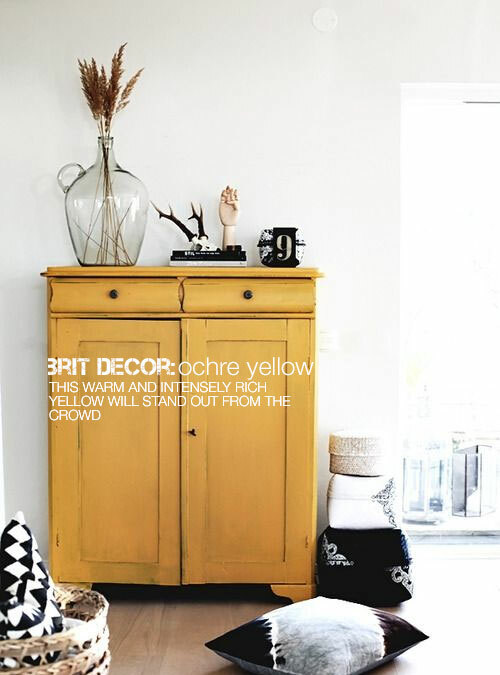 With the strong 2014 trend towards yellows, this is a great time to explore Ochre Yellow. For a truly contemporary look, mix this intensely rich colour with whites and neutrals to instantly add warmth and depth. 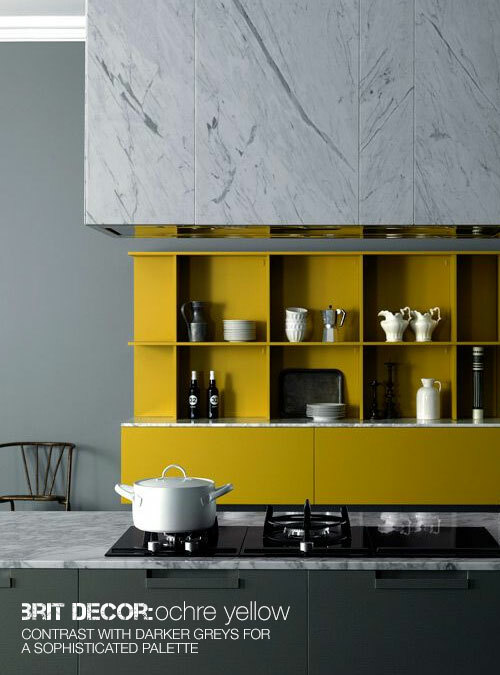 Or for a more dramatic contrast, set the ochre against a palette of moody greys for an effect not dissimilar to a ray of sunshine bursting through dramatic storm clouds. 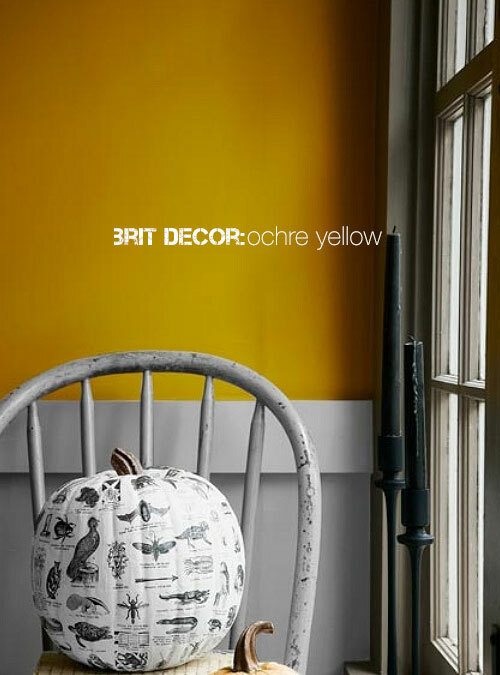 This shade can also make a stunning choice for a colour-blocked feature wall but with slightly less energy as some of the brighter yellows, this can offer the perfect choice for a more calming result but without sacrificing the intense warming effect. 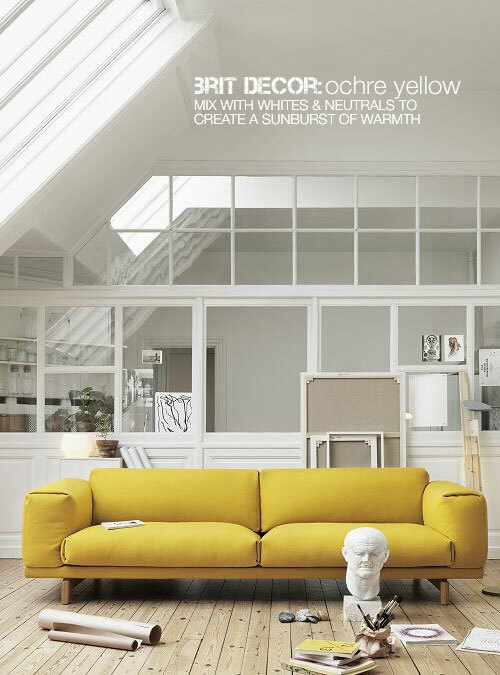 For a truly sophisticated ochre palette, try experimenting with accessories; apply whites for a brighter and more uplifting Summer look, and greys for a deeper, richer Winter feel. Either way, the final scheme will look incredible.